Johan van Oldebarnevelt was a Dutch statesman, who played an important role in the Dutch struggle for independence from Spain. He was born in the city of Amersfoort in 1547. Johan van Oldebarnevelt studied law at various universities in Europe, among them Louvain and Heidelberg, lateron he settled down in the city of The Hague. Being a moderate Calvinist, van Oldebarnevelt supported William I of Orange-Nassau (William the Silent) in his resistance against Philip II of Spain. In 1586 van Oldenbarnevelt became Land's Advocate of Holland for the States of Holland, an office he held for more than thirty years. This gave him influence in a many-headed republic without any central executive authority. In 1601 Johan van Oldebarnevelt launched the revolutionary idea of merging the competing trading companies that were set up in various ports in the Dutch Republic into one big United East India Company (Verenigde Oost-Indische Compagnie), the VOC. In the next year the United East India Company (Verenigde Oost-Indische Compagnie) was founded as a joint-stock company with a founding capital of 6.5 million Dutch guilders and granted the monopoly on the trade "East of the Cape of Good Hope". In 1609, contrary to the sound advice of the stadtholder Maurice of Orange-Nassau (the son of William I of Orange-Nassau (William the Silent) John van Oldenbarnevelt concluded a 12 years' peace with Spain. Because of this van Oldebarnevelt got arrested in 1618 by order of the States-General on accusations of having been a traitor to his country, whose interests he had betrayed. In 1619 he was sentenced to death by a special court of twenty-four members, nearly all of them his personal enemies. 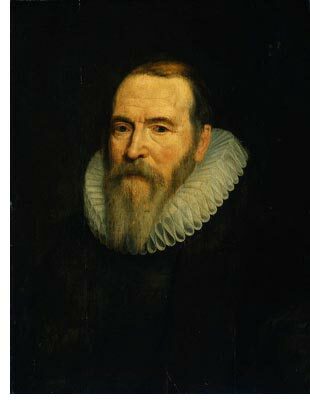 On February 21, 1619, van Oldebarnevelt, at the age of 72, was beheaded in the Binnenhof in The Hague. Such, to use his own words, was his reward for serving his country 43 years.